This afternoon’s entertainment is brought to you by UFC champion (who somehow finds time to have an entire professional video game streaming career on the side) Demetrious “Mighty Mouse” Johnson. Prepare to witness a full spectrum of emotions in a mere 30 seconds. Usually, when the PlayerUnknown’s Battlegrounds circle closes, it heralds either a tense final showdown or the creeping tendrils of certain doom. 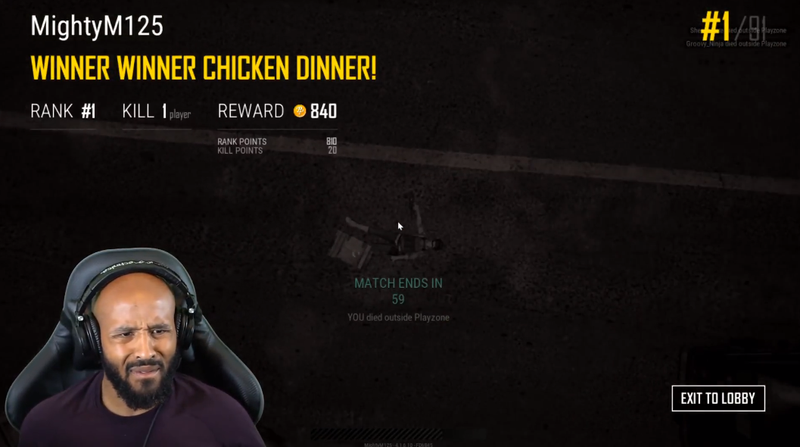 Playing a match yesterday on the game’s new, still-in-testing map Sanhok, UFC champion Demetrious “Mighty Mouse” Johnson found himself seemingly all alone as the end drew near, but the game claimed that two other players were still alive despite the circle’s rapidly corrosive effects. 0:00-0:09: Not yet fully aware of how strange this moment is, Mighty Mouse is still enjoying himself. “Where are you?” he shouts to his hypothetical foes in a goofy voice. 0:10-0:11: Mighty Mouse glances around pensively as the circle closes in. Realization dawns. 0:12-0:20: He is dumbfounded. The game tells him there are still two other players alive, but the circle almost certainly should’ve killed them by now. “Dude, what the—” he says as the circle reaches his character. “Are you serious right now?” He tries to use meds to stay alive, but his character drops dead.